There are defeats that can be regarded as moral victories. This felt more like a victory that was a moral defeat. 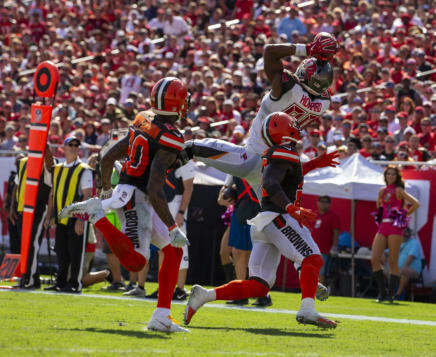 Twice leading by two touchdowns, the Bucs allowed Cleveland back into the game and after a missed 40-yard FG attempt by Chandler Catanzaro, the game went into overtime. 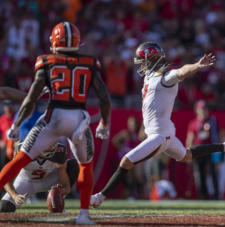 There the latter won it with a 59-yarder, the second- longest in team history after the Buccaneers recovered a fumbled punt. They also won in spite of four turnovers. INDIVIDUAL STATISTICS RUSHING BUCS: Winston 10-55, Barber 11-30, Jones 6-13, Rodgers 3-8, Jackson 2-8. BROWNS: Chubb 18-80, Mayfield 4-43, Johnson 1-(-4). PASSING BUCS: Winston 52-32-365-2-0. BROWNS: Mayfield 34-23-315-0-2. 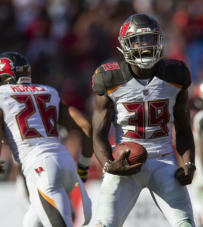 RECEIVING BUCS: Evans 7-107, Howard 5-67, Godwin 5-59, Humphries 4-37, Brate 3-23, Auclair 3-15, Jackson 2-15, Jones 1-15, Rodgers 1-11, Cross 1-6. BROWNS: Landry 10-97, Njoku 4-52, Johnson 4-23, Ratley 3-23, Callaway 1-14, Perriman 1-6. INTERCEPTIONS BUCS: none. BROWNS: Kirksey 1-13, Collins 1-0. KICK RETURNS BUCS: none. BROWNS: Hilliard 1-30, Peppers 1-12. PUNT RETURNS BUCS: Humphries 4-20. BROWNS: Peppers 2-46. 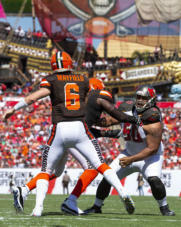 SACKS BUCS: Nassib 2-16, Pierre-Paul 1-7, Gholston 1-5, Taylor 1-1. BROWNS: Garrett 2-12, Ogbah 1.5-7.5, Ogunjobi 0.5-3.5.